Under full support of Chinese Government Scholarship, the Ubiquitous Sensing Lab (USLab) at University of Jinan, China is inviting applications from International Students interested in Masters Research. The current research fields are in the areas of Mobile Phone Sensing; Wireless Sensor Network; and Wireless Security. And the Supervisor will be Yuan Zhang (PhD, Senior Member of IEEE, Associate Professor). Applications are requested from interested and highly motivated MS students with background in Maths, ICT, or Computer/Engineering. Applications should be sent in ASAP. All applications will be via email. Applicants should send detailed resume (with basic information like DoB, gender, marital status, nationality, etc. ), academic transcripts, a high-resolution photo, to the email accounts below for consideration and further processing. 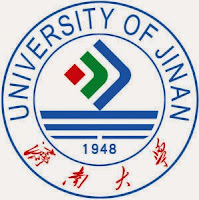 The University of Jinan is a university in Jinan, Shandong province, China. The Ubiquitous Sensing Lab (USLab) is part of the School of Information Science & Engineering at the University led by Dr. Yuan Zhang. USLab conducts research mainly on the problems of various wireless sensor networks including mobile sensor networks, smartphone sensor networks, and vehicular sensor networks. The University of Jinan is a comprehensive university under the administration of Shandong Province and Jinan City, with the former as the main administrator. The university is authorized to confer bachelor and master degrees.